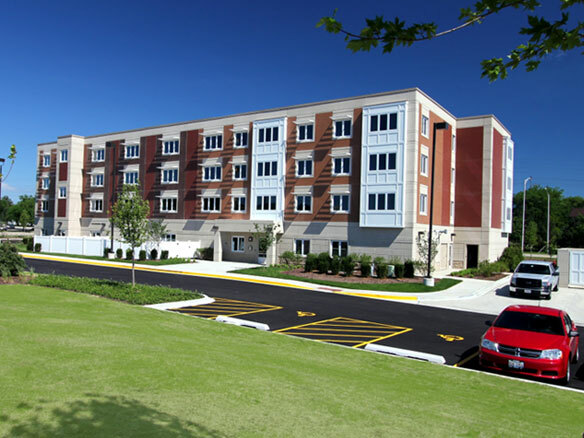 Community leaders, project partners and local residents celebrated the grand opening for Myers Place, a new $13.2 million mixed-use supportive housing development located in the northwest suburbs of Chicago. It’s the first-of-its-kind development in the region, featuring 21 one-bedroom and 18 studio furnished apartments, a state-funded supportive-services program for residents and 3,560 square feet of commercial space. The property also includes a community room with kitchen, laundry facilities and offices for case managers. Residents began moving into Myers Place June 1. They were selected from a waiting list of more than 300 applicants, highlighting the demand for this type of community development in the region. "Myers Place serves a vital need in this northwest suburb of Chicago because it will begin providing affordable housing for people with some of the greatest needs in our community," said Jessica Berzac, vice president of Development at Daveri Development Group. "The large number of applications highlights how important of a milestone this is. We are so grateful for the support from our partners and the community for helping make today’s grand opening a reality."